This book might be described as the consummation of a love affair. I cannot remember when I first came to Rye, and have lost count of how many times I have returned. Now that I live in her sister ‘Ancient Towne’ Of Winchelsea it is as if I have never left this corner of Sussex where history has been fashioned, and which means so much to those who have discovered it. These are the opening lines of Portrait of Rye, a book published in 1976 by the Children’s author Malcolm Saville. Not only had he returned to the town many times himself but he had used it as the setting for a number of his books and instilled a love of the area in children throughout the world, myself included. Malcolm Saville was born in Hastings in 1901 and he died there in 1982 but the family connection with Rye was strong. His father had lived here as a boy and his Grandfather, Rev Alfred Saville, was the Congregational Minister in the town from 1878 – 1905, during which time he had a new church built on . The building is now the Rye Community Centre Saville’s most famous books involved the children of The Lone Pine Club,who were introduced in 1943 in Mystery at Witchend,which was set in the Shropshire Hills, where his children had been evacuated to. 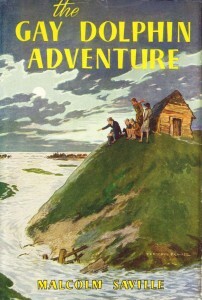 After one Shropshire based sequel it was to Rye that the Lone Piners would go for The Gay Dolphin Adventure in 1945, when the children would hunt for hidden treasure in an inn that is clearly based on The Mermaid but sited where The Hope Anchor sits in Watch Bell Street, overlooking Romney Marsh, Camber Castle and the sea. A few older residents may remember the serialisation of the story in Children’s Hour on BBC radio in the 1940s and this must have helped to popularise both the book and the Town. It is probably his best loved book and has twice been voted their favourite by members of the Malcolm Saville Society. Over the next 33 years many of the Lone Pine adventures would start in Rye but only three would be set in and around the town: The Elusive Grasshopper (1951), Treasure at Amorys (1964) and Rye Royal (1969). It was also the setting for The Flower-show Hat (1950), the only Lone Pine short story. By 1966 Malcolm Saville had produced 65 books but all had been written in his spare time. Now, in his retirement years, he continued to write his children’s stories but also wrote a number of books about places that he loved. Portrait of Rye was an affectionate guide to the town and its history, with lots of stories from Rye’s colourful past. It was also a collaboration between three men who loved the town. Michael Renton was a designer, engraver and lettering craftsman who created a number of shop fronts in Rye, including that for the much missed Martello Bookshop. He provided the illustrations. And there was a new poem simply called Rye by the well-known local poet Patric Dickinson. Throughout his career Malcolm Saville encouraged his readers to write to him and usually put his address in the back of his books. Throughout the 1970s he lived at Chelsea Cottage in Winchelsea and many a fan would knock on his door to say hello. 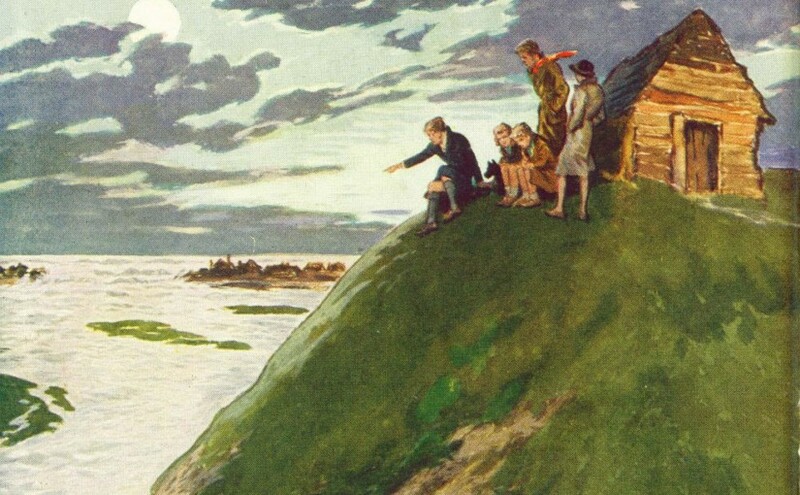 They were usually on holiday in the area and he would often take them to Rye and show them around. 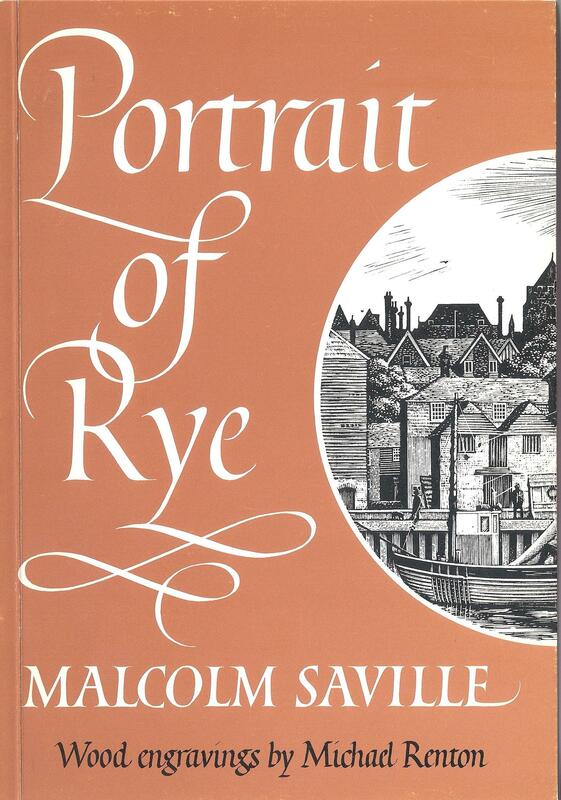 The Malcolm Saville Society was formed in 1994 and we have visited Rye on many occasions. This year as part of our 20th anniversary celebrations, we will be attending Rye Fawkes on 8 November. 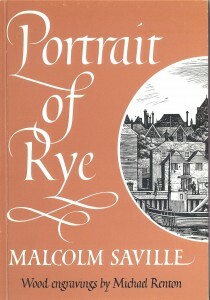 On the following day one of our members is organising a book fair and in the evening we are hosting an evening of talks and films highlighting the work of Malcolm Saville and another children’s writer who featured Rye in her books; We would love to see lots of local people at St Mary’s Centre to tell you about Malcolm Saville and if you have any memories of him then we would love to hear from you.